Thank you Florida Baptists for your faithfulness in giving. We celebrate together the cooperative and unified focus of the giving of our churches. Because of your faithfulness, individuals continue to be impacted and changed by the Gospel of Jesus Christ. 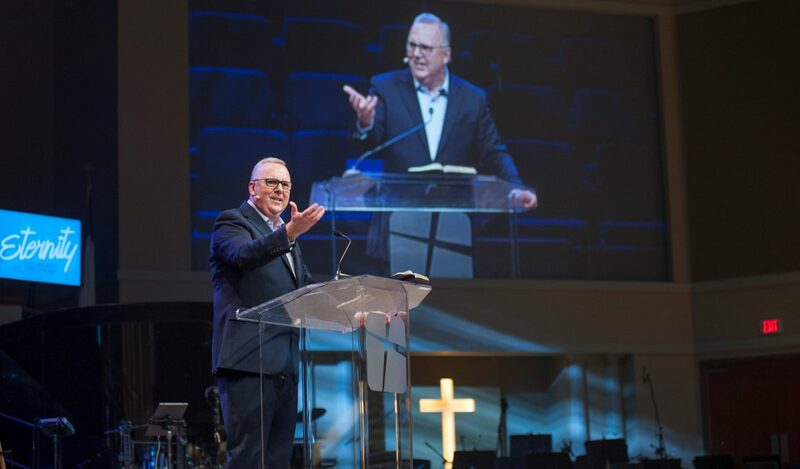 I rejoice to report to you that Florida led the entire Southern Baptist Convention in dollars given to the SBC Cooperative Program this past year. Your generosity and leadership continues to influence the total conversation concerning the Cooperative Program in the SBC. The decision to release 51% of CP dollars has been richly blessed by the Lord. Faithfulness enables sustainability of Great Commission-focused ministries in Florida and to the nations. Florida Baptist churches gave over $29,000,000 to the Cooperative Program in 2017 and you faithfully donated over $1,000,000 to Disaster Relief as you compassionately responded to the hurricanes of 2017. The Maguire State Mission Offering, with the revived focus on Send South Florida, received over $700,000. 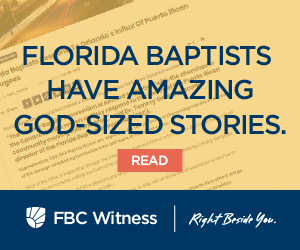 Your faithful obedience to the Word of God allows the unified ministries of Florida Baptists and Southern Baptists to press forward in a significant manner. The 49% of CP dollars, and Florida-specific gifts were invested back into the local churches and associations throughout Florida. These dollars were given to partner in church planting and church revitalization. The impact of your faithfulness fueled the fire of mission work and ministry partnerships unique to Florida. Your giving supported Next Gen ministries, Baptist Collegiate Ministries, The Baptist College of Florida, and the Florida Baptist Children’s Homes. The list is too long to include every area of ministry! The Florida Baptist Convention Team being ‘Right Beside You’ continues to ask the question of how can we serve you? Because of your faithfulness, almost $5,000,000 was given in partnership to our Florida Baptist churches and local Associations in 2017. These resources were used for Kingdom ministry to #ReachFlorida for Jesus Christ. Thank you Florida Baptists for your faithfulness in giving!